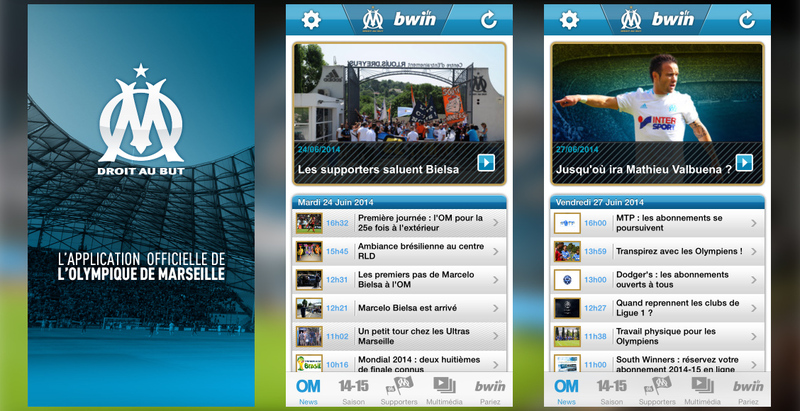 Olympique de Marseille, offers its fans a complete application to follow their favorite team. Develop native applications for Smart Phone on 2 major platforms, while respecting the native design. Offer an app available on Mobile & Tablet. Inform fans of OM about news, latest videos, follow the lives ecc. Alert fans at the end of each game of lattest score, new video release, ecc.